What is a thermal oxidizer? A thermal oxidizer is a type of air pollution control equipment used in manufacturing and other industrial processes to reduce emissions of harmful air pollutants (HAPs), volatile organic compounds (VOCs), and other industrial emissions. Using extreme high temperatures to trigger a combustion reaction, the air pollutants undergo thermal oxidization, transforming the complex organic solvents into CO2 and H2O. Oxidizers, also known as after-burners, are used at many manufacturing facilities worldwide. During the manufacturing process for tape or adhesives, as an example, solvents are released into the air, collected and transported via large industrial ductwork powered by large fans, until they reach their target destination: a thermal oxidizer. The contaminated gases pass through a temperature-controlled environment, which is heated by a burner and combustion blower, reaching temperatures around 1400°F - 1500°F. At this temperature, in the presence of oxygen, the gaseous chemicals undergo an oxidation reaction, destroying the pollutants before releasing the exhaust to atmosphere. The most basic type of thermal oxidizer is a direct-fired, also known as an afterburner. As the simplest type of thermal oxidizer, it does not include any heat recovery, heat exchanger, scrubber, adsorbent, or catalyst material. It offers the lowest upfront capital investment cost, but is thermally inefficient, so it requires the most energy to operate. Other thermal oxidizer designs implement a heat recovery mechanism or catalyst to reduce the required reaction temperature. Due to the lack of heat recovery, this design is best suited for applications with a very high concentration of VOCs or applications that only need to run for a small percentage of time. If the exhaust stream has a high concentration of VOCs and can run nearly steady-state with little to no supplemental natural gas required, then a direct-fired thermal oxidizer is a good choice. Often times, the direct-fired thermal oxidizer is used in combination with a VOC concentrator to provide the highly-concentrated solvents. The direct-fired type offers a destruction efficiency of 98%-99%. A more thermally-efficient design, the Recuperative Thermal Oxidizer passes the hot exhaust gas through an air-to-air heat exchanger, heating the incoming process air to ~700°F, or 50% of the combustion temperature. Then, the burner in the oxidizer only needs to provide half the heat required for a successful combustion reaction. The heat exchanger and additional ductwork will cost more money upfront, but the recuperative design requires less natural gas during operation. 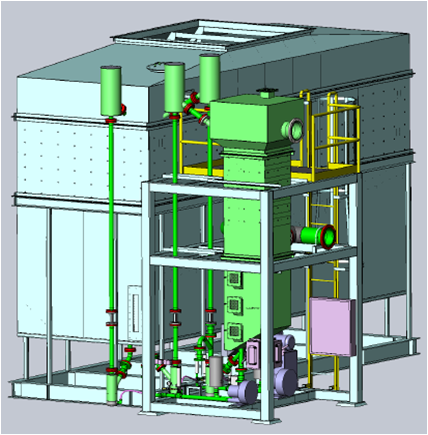 The Recuperative Thermal Oxidizer is a popular design, due to lower energy costs. This model of thermal oxidizer uses a high-efficiency heat exchanger to heat the incoming process air from 200°F to ~700°F, reducing the required temperature rise over the burner to reduce natural gas usage and lower operating costs. The recuperative thermal oxidizer is a common type of oxidizer in industry, due to the favorable energy cost payback in high-use applications. A more complex design, the catalytic oxidizer uses a precious metal catalyst, such as Platinum, Palladium, and Rhodium, within the combustion chamber to lower the required reaction temperature. Whereas a direct-fired oxidizer would require temperatures near 1400°F - 1450°F, in the presence of a catalyst, the same reaction can complete at a much lower temperature: 600°F - 650°F. The lower firing temperature requires less natural gas than both a direct-fired and recuperative oxidizer. It also comes in a regenerative catalytic oxidizer design (RCO). The downside of CTOs and RCOs is a higher capital cost and potentially high maintenance costs. The precious metal catalysts are often very expensive and prone to fouling. Once the catalyst is sufficiently fouled, it must be replaced or the reaction temperature must be increased. When selecting an oxidizer, an analysis of VOCs and pollutants must be completed to determine likelihood of fouling. Best suited for large air volumes with high concentrations of VOCs, the Regenerative Thermal Oxidizer, aka "RTO", boasts the best thermal efficiency of all oxidizers. Using two or three beds of ceramic media, the RTO design captures waste heat and stores it in the ceramic media. It then uses the captured waste heat to heat the incoming air to temperatures of 1350+°F, very near to the oxidation temperature. At reaction temperatures of 1400°F, the RTO burner will only need to heat the air ~50°F. Using the ceramic media to capture waste heat, the RTO is 95% thermally efficient. The standard three-tower RTO design allows for one tower to be exothermic, giving off heat to the incoming air, while another tower will be endothermic, absorbing waste heat from the exiting air, and the third tower to be purging air at any time. Purge air is sent through the combustion chamber to ensure all VOCs are captured and destroyed before being released to atmosphere. The RTO is the most popular type of industrial air pollution control equipment. Currently being installed in 2017, Honda's newest paint manufacturing facility will feature both a regenerative thermal oxidizer (RTO) and a thermal recuperative oxidizer with VOC Concentrator (FBC) provided by TKS Industrial. 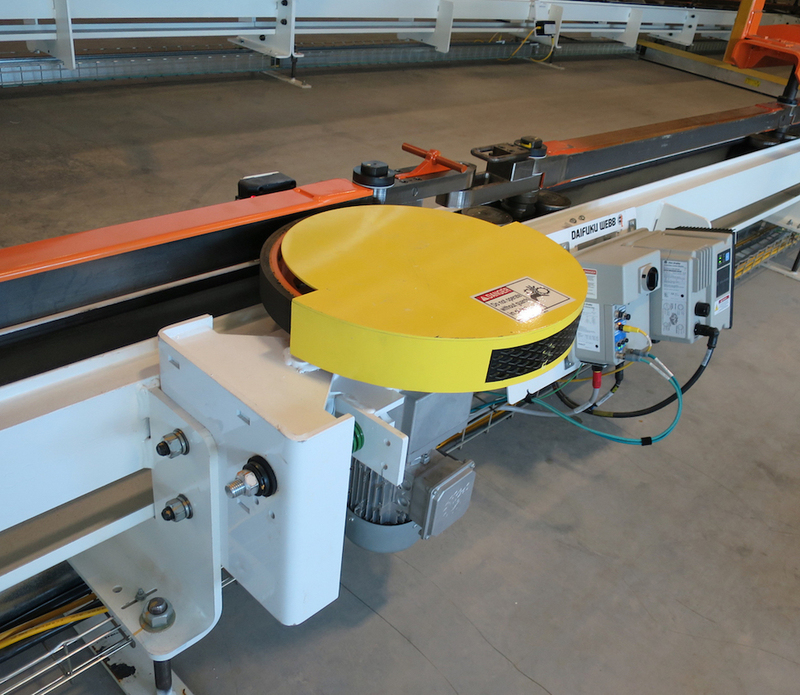 The RTO will be used for control of the paint oven's hazardous air pollutant (HAP) emissions, while the recuperative oxidizer will control VOC emissions from the Acura and Accord paint booths. Honda plans to operate their thermal oxidizers in parallel for 24 hours a day, six days a week. Slated to start production in early 2018, Honda's newest oxidizers will net energy savings over their older VOC control equipment. ​Honda has already earned awards for reducing air pollution at their plant in Lincoln, Alabama. Honda's team in Marysville, Ohio hopes to follow suit. Kia Motors selected a large regenerative oxidizer (RTO) to control both their paint booth and cure oven VOC emissions. A three-tower 50,000 CFM unit is one of the largest RTOs that TKS has ever installed. Kia elected to save money by combining the paint booth and oven emissions into the same VOC control equipment. The RTO is well suited for Kia's use with low concentration VOCs coming from their oven, and running three shifts daily, and six-to-seven days per week, near continuous operation. The downside from a maintenance perspective is tar. When the hot oven air meets the cool booth air, the gaseous tar products in the oven exhaust condense and stick to the ductwork, the fans, and the RTO's ceramic media bed. As a result, Kia achieves lower air volume throughput as it become clogged with tar and the ceramic media requires replacing every 3-4 years instead of every 5-6 years as is typical. 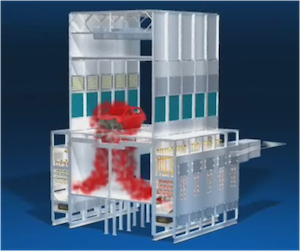 This Japanese Automaker selected a recuperative thermal oxidizer with VOC concentrator to treat their VOC emissions from both paint spray booths and heated flash offs. A pair of heat exchangers use the post-oxidation waste heat to preheat the VOC-laden air before it enters the thermal oxidizer and heats the air for the carbon desorption loop. 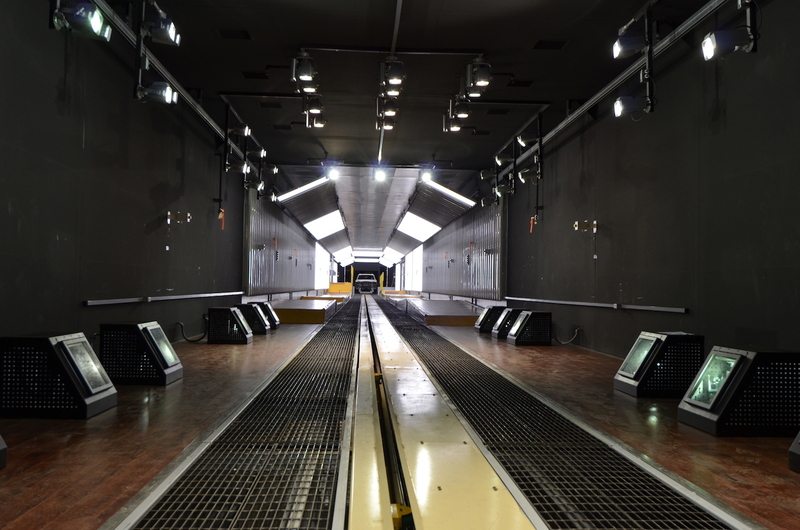 This Japanese Automotive OEM, the largest worldwide, has chosen for TKS to install a total of five (5) oxidizers at its Georgetown manufacturing facilities since 2014. While the first oxidizer installed was a simple direct-fired oxidizer, the customer has since progressed to a thermally recuperative oxidizer with not one, but two heat exchangers (HEXs). They have drastically reduced their emissions and carbon footprint, with goals for the entire campus to be carbon neutral by 2025. 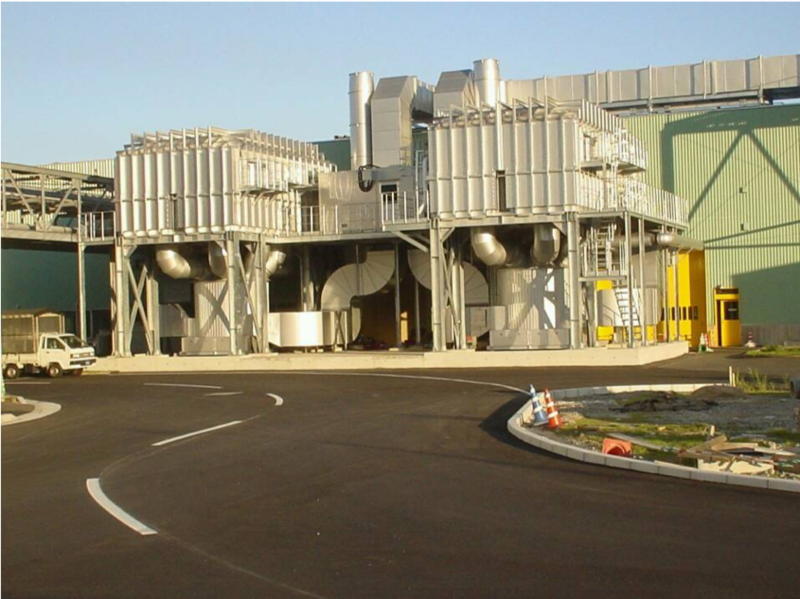 During construction of their new manufacturing plant in 2012, Nissan selected two 30,000 CFM regenerative thermal oxidizers (RTOs). 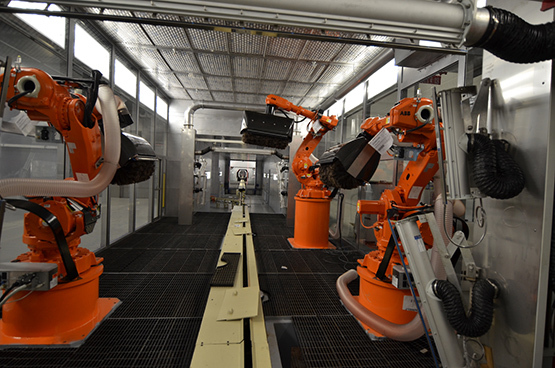 One RTO services the combined oven exhaust while the second RTO services the VOC exhausts from two clear coat paint booths. Regenerative oxidizers are ideal for Nissan's low VOC concentrations and long, continuous operation. This dual-RTO approach comes with slightly increased upfront capital investment, but avoids the tar issues that Kia is experiencing with their single RTO implementation. As today’s most widely accepted air pollution control technology across nearly every industry, Nissan's Regenerative Thermal Oxidizer, commonly referred to as an RTO, is robust, versatile, and extremely thermally efficient – with heat recovery efficiency reaching up to 97%. This is achieved through the storage of waste heat via structured ceramic blocks. TKS employs the industry's leading experts on environmentally-friendly oxidizer solutions. Whether you need a simple direct-fired oxidizer, a large RTO, or VOC Concentrator with recuperative thermal oxidizer, TKS' engineers and experts are here to give you the best advice. Need an immediate quote? TKS representatives are available around the clock to take your call and direct it to the proper engineers. Always make TKS your first call. Do you need a quote right away? Not a problem. TKS provides most oxidizer quotes within 4-6 hours. Need it sooner than that? Give us a call, tell us about your project, and we can send you a verbal quote on the phone. 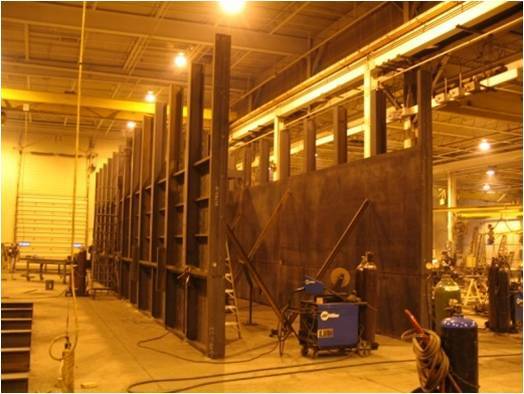 Over summer shutdown this year, TKS will extend the paint finish oven at Subaru Manufacturing in Lafayette, Indiana. As part of that project, TKS will install a brand new Regenerative Thermal Oxidizer (RTO) to control air pollution from the oven exhaust. In the past, Subaru of Indiana (SIA) has has issues with restricted airflow through their old RTO due to clogging on the ceramic media beds. The new RTO features a new type of ceramic media that is designed to reduce clogging and blocking of the media. Subaru's RTO will have its start of production in July 2018. Subaru makes the Legacy, Outback, and Impreza at SIA. Starting this summer, it will begin manufacturing the Subaru Ascent. In the classic three-tower design, an RTO has three phases of operation. Each tower moves sequentially through endothermic (absorbing heat), exothermic (releasing heat), and purge cycles. In the first cycle, ceramic media in the tower absorbs heat from the post-combustion gas as it comes down to exhaust. In the second cycle, the media now releases heat, warming the pre-combustion gases as they move up towards the burner. In the third cycle, fresh air is purged through the tower to the burner, ensuring no VOCs are accidentally exhausted. In the two-tower design, an RTO has only two phases of operation. Each tower switches between absorbing heat from the post-combustion gas as it exhausts, and releasing heat as the pre-combustion gases as they move up towards the burner. There isn't a purge cycle, so in the two-tower design, some gases escape untreated. How Much Does A Basic Oxidizer Cost? The cost of an oxidizer can vary from $100,000 USD to over $500,000 USD, depending on system size, installation location, and the type selected. Each oxidizer can be shipped in pieces to the job site for third-party installation, or TKS offers a turn-key solution where every aspect of your project from design, fabrication, installation, commissioning, start-up and stand-by service is included. The scope of each project is different and we will adjust the scope to meet your budget and needs. TKS Industrial is the U.S. subsidiary of Taikisha Limited, a publicly-traded company in Japan. TKS is a general contractor for paint systems, industrial finishing systems, and other paint process equipment.